I’m realizing that life keeps taking strange turns, and the strange hides the most beautiful. This blog is about the twists and turns that have taken me to a geographical place to love the stranger. Our family of five is on a path to move to Clarkston, GA – a community heavily populated with refugees. We love them – these strangers – and we know God loves them, too. We’re excited. But, this blog is also about other strange things, things that don’t always fit “just right.” Things like living a blended family life, which makes for an odd relational jumble. And, it’s about being being an over scheduled suburban mom for whom the proverbial mid life crisis feels just around the bend, most of the time. Also, it’s written from the heart of someone who longs to be passionate about the gospel in a more meaningful way, a real way…despite Southern, straight laced, well mannered, baptistmethodistpresbyteriananglican influences along the way. For a long time, I’ve wanted a place to record and process and just LAUGH, cry, throw my hands up, and worship in the journey. Since writers write, I am giving in and setting up my “free” (or $25) blog. Hope it will be worth what I paid for it…even if it’s just a landing spot for my own musings about our strange times in a strange land. So, thanks for coming. I hope you’ll leave encouraged or just chuckling in recognition of your own plight or foibles. 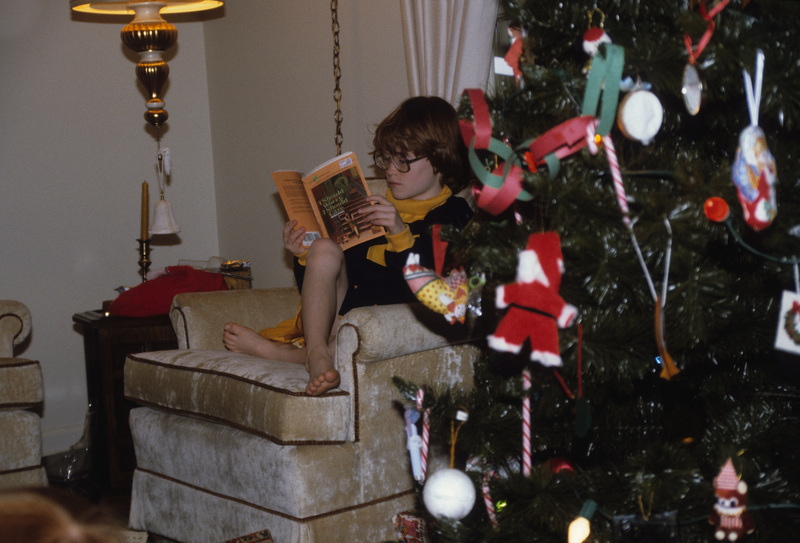 This is me – about aged 10 – with book, glasses, cheerleading outfit, and several siblings who I was trying to ignore just outside the edge of the photo. The beginning of the introspective life!